Super Easy Kik Hack Methods - How to Hack Kik Account? You must have heard about kik messenger. Being similar to other entertaining social media platform, this platform is also prone to account hacking. For peeping in someone else’s Kik messages and conversations, you should involve hacking software or a tool. There are many methods and programs to hack someone else’s Kik account, and it is very important to remember that each method is unique in its own way and different from one another. This also depends on the nature of the program, in which some programs are economical and paid in nature whereas the other might not charge anything at all. Some programs may need a downloading process to be followed while others might not need them at all and can be worked upon online easily. Thus, in the flow of this article, you will be able to learn and comprehend about various software, methods, and ways that will enable you in easy kik hack without even providing information to the account holder of the targeted account. The usage and the privacy policies of every program mentioned below are the basic and very important key points one should keep in mind before a kik hack. Part 1- How to hack kik? 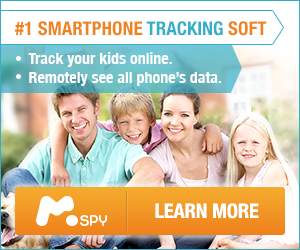 – Using the Spyzie software. One of the amazing programs for kik hack providing the ultimate services and ease of operation is Spyzie. Every piece of the message, photos or videos shared by the Kik user amongst the contacts and friends can be revealed by using this program without informing the account holder. Other than kik hack, Spyzie which is also the best telegram hack tool, helps you in analyzing the location of the owner of the targeted kik account and also provides the notification of information when the user is making a call or receiving a call. Spyzie kik hack also helps in handling the programming of the account in the online mode itself. Spyzie software also provides a secretive feature that prohibits the flow of information to the user, so that the account holder does not get to know about his/her online programming and it’s visibility to the audiences. Here we have a detailed list of steps on how to hack kik details by assigning the job to the Spyzie software. Follow the following steps for a smooth kik hack. Also know about how to hack someone’s Instagram. Step 1 – Create a premium account on spyzie software is the first step in the process of a kik hack. Step 2 – As soon as the account has been created, you will receive an e-mail addressing you a warm welcome to the spyzie software on the provided e-mail ID. The detailed information along with the login documentation that is required for gaining access to the control panel will be mentioned in the mail itself. Step 3 – Now, you need to download the Spyzie program and install the same on the victim’s phone. Note: Victim’s phone should be with you physically for the same. Step 4 – Go to the ‘dashboard panel’ on your smartphones or system after installing it on victim’s phone. Note: As soon as you follow up with these steps, you will be able to fetch all the messages and calls that the victim receives from the account interface. Part 2 – How to hack kik? – Using the Password Cracker. Depending on the websites for a kik hack and fetching all the information can also be quite beneficial and efficient way for hacking a kik. It is very easy to employ a tool online for retrieving the personal information from the targeted kik account. This way of hacking is quite easy, secure and convenient for every user to depend upon. But remember to get active on this method using only a VPN software for hiding the identity and the IP address of your software. Here we have the following steps on how to hack kik details by assigning password cracker program to work. Step 1 – Open the official website of the kik hack tool on the system and select the option ‘Hack Kik Account’. Note: Check out for the latest and updated version of this kik hack tool for a better experience. Step 2 – As soon as the web page displays, type the username entailing the targeted kik account you wish to hack. Now, click on ‘Next’ to proceed with the further process of hacking. Note: In this step, if you are looking forward to hacking account password or downloading their pictures and also fetch the logos for conversation, then turn ON the OFF tab by simply clicking on the same. Step 3 – The system portrayed online in this tool will analyze and undergo deep research on the username and account that is targeted for hacking. You will now be able to see the hacking process as shown on your windows and watch the progress of the tool on your monitor. Step 4 – As soon as the online kik hack tool fetches all the information, you will have to undergo two survey forms and fill in the information as per the questions. After completing the survey sheets, move further with the option of ‘Continue To Offer’. Now, your data is all ready for you to explore the secrets of the targeted victim’s kik account and you can easily ponder over information using your system. Isn’t it easy? Part 3 – How to hack kik? – Using the Kik Hacker Software. Another amazing method to kik hack lies in taking help from the other software. Some of the external software can actually lead you straight to your hacking functionalities and help you a lot. One of the best software relating to the external sector includes Kik hacker software. This software functions using the data retrieved by every single piece of information that is shared by the Kik account holder or his peers and contacts. The unique feature of this program is that one can easily edit the contacts of the kik account holder and even change the profile photo without even their knowledge about the same. Now, it would again be a question so as to how to lay your hands on this software and how to hack kik account easily using the same. Follow these self-explanatory steps for using this kik hack technique. Step 1 – Install the Kik hacker software from the official website. Select the ‘Download Now’ tab for initiating the process of downloading. Note: Kindly participate and fill the survey and enter the personal data before hacking anyone’s kik to gain complete access to the software. Step 2 – Now, as soon as the installation ends, run a file with extension “.exe” on the system to run the software for working further. This will help in activating the downloaded software. Step 3 – Fill in the details of the victim’s kik account for the kik hack, and search for the relevant account holder. Fetch the one you are targeting, and the program will automatically show up with the information of the account holder you selected. Although, the Kik messenger application is not popular as much as the various social media applications including Facebook and Whatsapp but, it can really help you to communicate very well without any disruption with anyone you wish to. Also, it becomes really interesting and exciting when you can actually know what your closed one doing on their kik account is. Thus, these methods on “how to hack kik account” are specifically designed for taking a quick sneak peek at the kik account of your peers and friends. As per the above information, there are various ways for a kik hack, and one can determine the best one for them, as per their own convenience. One can access all the details needed using these methods anytime, anywhere easily. On top of that, knowing how to recover Kik messages on your iPhone is also very important.